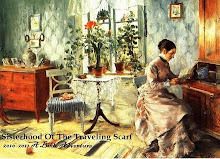 http://workofthepoet.blogspot.com it is ruby tuesday but bernie and i and the little red car have decided to play hooky..you see, i am so far behind in commenting on the ruby tuesdayers blogs that i have decided it is high time that i did!. therefor i am skipping mary t and her ruby tuesday and just the very day that she has given us a new badge and how pretty it surely is! poor frozen little red car! just a quick two pictures..this is the retired bernie and i hanging out with gramma and grampa yade and our friend brian for a coffee. i really believe that bernie is getting far too lazy these days...i have been waiting anxiously for our grandpaw ron to send that jar of jobs that he has buried in his back yard somewhere. he claims he can't find it and that bernie is taking full advantage of it! ps..don't tell our beloved teach that i am pulling such a stunt. she is at home resting after being in the hospital and after finding out that everything is fine....but she does need her rest! Enjoy your R T break!! My Ruby Tuesday is HERE. Do come join me if you can find time today. Hi Terry, yes, please do enjoy your RT hooky time! Thanks for putting one up anyway. Sometimes If you sign in pretty late mostly only those who are fairly regular will come. They would like to read this lovely one! That Little Red Car sitting by the icicles is a classic. Doesn't it make you cold just to think about it out there in the cold? Happy RT! Thank you for peeking at mine, :-) I'm off to Huntsville, Texas, north of here a few miles to play golf with some buddies, so bye. Stay warm. That Bernie looks too able to be sitting around with all those OLD MEN. You could put him to work if G. Ron can't. Such fun to look at the old folks having a nice conversation. Art Explorations of my kids is my entry for Ruby Tuesday! The 3rd red car I saw today. The smiles are awesome here. Thanks for sharing! I think I'll have to swap that blackboard of yours. "If you can't be a poet, be the poem." I hope Bernie also may be allowed to be a poem for a while. He has worked so hard, and also just lost his dear Shopper. You must allow a man time to recreate for a while. I think you both should consider that. I my thoughts I'm giving you a long spa stay, with lots of good books and beautiful music added. Then you can go home and deal with the icicles. awww poor red car! love all the photos Terry! Bernie really seems to be having so much fun :) hugs! Thanks for the visit! You're a treasure I'm glad to know! It is really nice to see you enjoying retirement as it where. I love that pic of the frozen little Red Car. Oh, Miss terry everyone needs a break now and then! So happy to hear that your Bernie is enjoying retirement and taking it easy! Hi Terry. Love your smmiling photos. Bright and sunny in the freezing cold here. 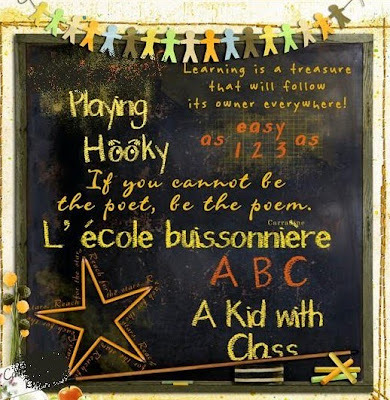 I think we all deserve a hooky day once in a while! hehe It makes me smile to think of how much Bernie is enjoying his retirement:-) That is a really good shot, of the little red car and the icicles, love it. I've just come back from going out to take pictures at a little lake near here...even got a shot of a man ice fishing with his truck on the ice!! With the milder temps we've been having I'm not sure I'd trust the ice right now! Thanks for stopping by my blog and leaving a comment. I hope that you check back in the future - my site is currently undergoing renovations and will be completely relaunched, hopefully before the end of February. 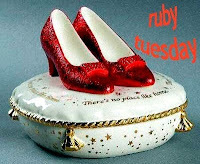 This post is full of reds anyway, so it still looks like a Ruby Tuesday post. And where did you get that little schoolboard picture, I love it! 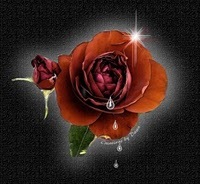 Thank you for your comments at my blog...I actually miss you when you don't come to visit. I love you comments, so personal and so sincere. I read the words on the blackboard again... if you can't be the poet be the poem! Love it! Hope I can borrow that pic to post in my blog someday.